How will Israel's next war unfold and what will be its surprising aftermath? 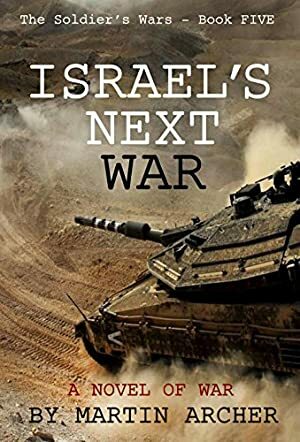 This epic war novel tells the exciting story of Israel's next war through the eyes and words of those who fight in it and those who observe the fighting from up close. It begins when the leaders of Syria, Iraq and Iran negotiate a coalition from among the various militias and armies of Iraq, Syria, and Iran - and focus them on suddenly attacking Israel instead of fighting each other. Israel calls up its reserves and fights back. The result is a vicious war which yields unexpected results for everyone in it - and forever changes the politics and borders of the Middle East. Track It. This book has been £2.95 within the past year. We started tracking this book on November 5, 2015. The price of this book has changed 6 times in the past 1,267 days. The current price of this book is £2.99 last checked 13 hours ago. This lowest price this book has been offered at in the past year is £2.95. The lowest price to date was £0.99 last reached on June 2, 2016. We last verified the price of this book about 13 hours ago. At that time, the price was £2.99. This price is subject to change. The price displayed on the Amazon.co.uk website at the time of purchase is the price you will pay for this book. Please confirm the price before making any purchases.